John McCullough (1832-1885) was one of the dominant actors in the mid-nineteenth century American theatre. 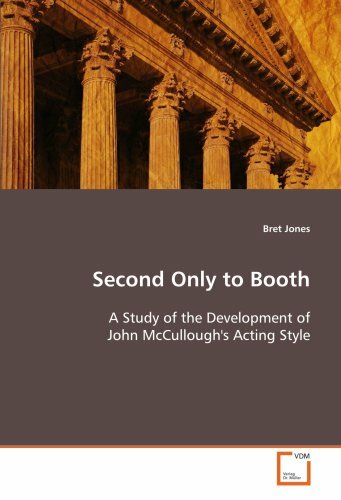 This study of his career provides evidence of the progression of his style as an actor, from the heroic style of Edwin Forrest to a more authentic and scientific approach championed by Francois Delsarte and Steele MacKaye. Though other actors moved into the realm of "realistic" performance on the stage, none were as popular as John McCullough. His transition from a bombastic acting style to a more realistic one pre-dates Stanislavsky and The Group. He was a star of his age and considered second only to Edwin Booth. This book examines his life, work, and success on the stage. Dr. Bret Jones is the Director of Theatre at Wichita State University. He is a director, actor, playwright, novelist, and radio performer. He lives in Goddard, KS with his wife and three children.